Remembered this and thought people might find it useful or at least diverting. Yeah, I have seen that. I think someone was talking about it a few months back or so. It is actually pretty neat. They have a decent amount of options. Never used it but seen several pictures people have made with it. Still not sure if I'll do a group picture with her and Thorin together, since it's so much harder with Thorin (because of those darn feelings). 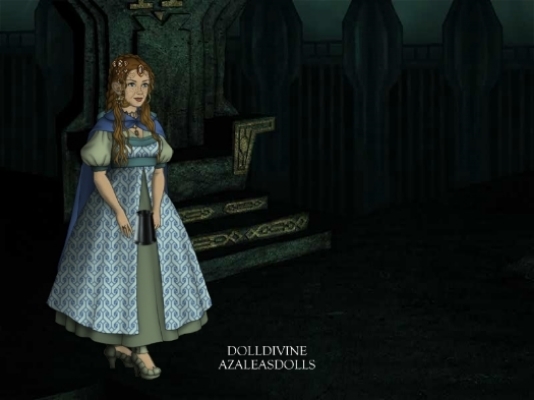 I should probably make one of Talina (my other dwarven character that I play on the LotR Fanatics Plaza, since they don't allow your characters to be connected to a canon character, so I had to create a new one) one of these days. Last edited by Marida on July 2nd, 2017, 11:03 pm, edited 1 time in total. Yeah you're probably right. Oops! I like your character . Nice layering. 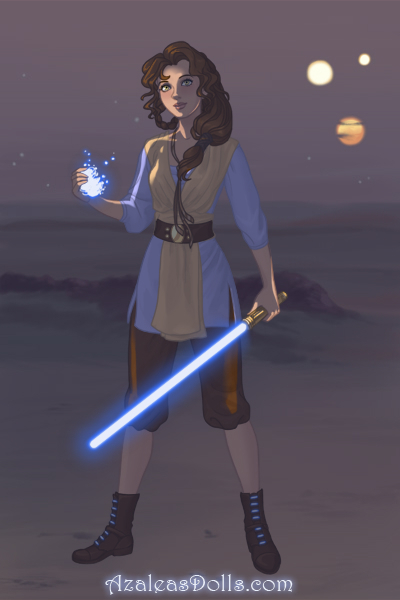 I didn't even know they had a Star Wars character creator (it's under the creator's page, not on Doll Divine, though Doll Divine did provide some of the backgrounds). These games sure are addicting, since I spend hours on this one (the only things I changed were the top robe, belt, and braid (since her original braid was longer than her hair, so it wasn't quite accurate. I also changed the hairstyle a bit to resemble the way that I would wear it). Last edited by Marida on July 2nd, 2017, 11:04 pm, edited 1 time in total. Really neat character Marida. Of course I am always partial to star wars. I was messing around with a similar program the other day but it is strictly for designing mandalorians. (Basically the armour design) It was fun.